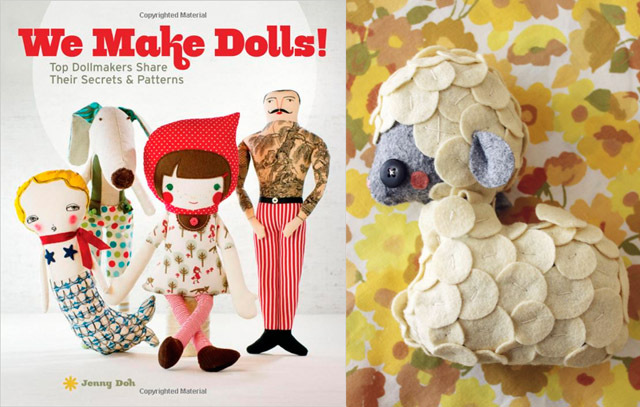 I contributed a pattern for a sweet little lamb to a book called "We Make Dolls". There are SO MANY amazing doll patterns in this book-- I'm happy to have a small place in it. If you are a fan of Pinterest, you can find me pinning for Ugglebo Clogs as the "Chosen One". I've been having so much fun pinning pretty things! If you'd like, you can follow Ugglebo here and view the "Chosen One" board here. I'll be pinning more fashion and inspiration there over the next couple of weeks! love these dolls! and the shoes are pretty cute, too! have a great day! Those are some exciting things! That lamb is so cute by the way! Your lamb project is wonderful. I can't wait to check the book out. Your a busy mom. Congratulations on your success. Perfect timing for me to know this I just started to buy supplies to try and make some dolls and softies <3 Your works are really amazing! Congrats! Can't wait to see this book also! That books looks just wonderful! Ive been wanting to learn how to make cute, personal dolls for a long time! I will definitely buy it! And thank you Katie for your wonderful blog, I love your creatures, and your beautiful clothes and hair dos. You are a big inspiration for me in so many ways!